Ethics experts love President Donald Trump’s pick to lead the Office of Government Ethics. These are the same ethicists who’ve repeatedly clashed with the president and his administration. Ethics experts were over the moon with President Donald Trump’s selection to lead the Office of Government Ethics, Emory Rounds. That includes two high-profile ethicists who have been among the most prominent critics of Trump: Walter Shaub, the former head of OGE who resigned before completing his term, and Richard Painter, top ethics lawyer for President George W. Bush who has repeatedly clashed with the White House. Rounds served with Painter in the White House counsel’s office during the Bush administration before joining OGE in 2009. “HOOOOORAY!!!!!!! !” Shaub tweeted when asked for his thoughts on the nomination. 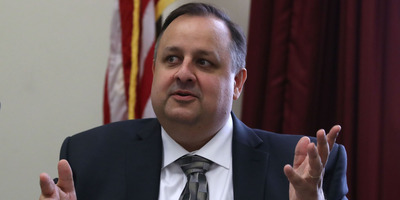 Trump’s nomination of Rounds to a five-year term that requires Senate confirmation came two days after the acting OGE head, David Apol, seemed to criticise the president and his administration in a blog post. The post warned that some government officials are acting in an unethical manner. After Shaub resigned last year, Trump passed up the next-in-line candidate to replace the outgoing director with Apol, spurring some controversy.